Holy middle of June already! Seriously, where has the year gone? Back about 3 months ago we started out first garden...well we germinated the seeds for our garden we hoped to have. I wrote about it briefly. I haven't updated about our first gardening adventure this year and figured now would be the perfect time to do so since I'm pretty dang proud of it! Over Memorial Day weekend, we rented a tiler and the hubs got busy and tilled up the yard behind out garage. We have some major weeds going on. Ugh. I have avoided the area because of the weeds for too long. A few years too long. So now I am addressing those weeds. I seriously, seriously, SERIOUSLY dislike weeds! But anyways. It is the flattest area that gets ample sunlight, in good reach of our hose, etc. And wow, it is working there!! Please don't mind all the weeds around the garden. I am out there everyday yanking them. It's getting better though! 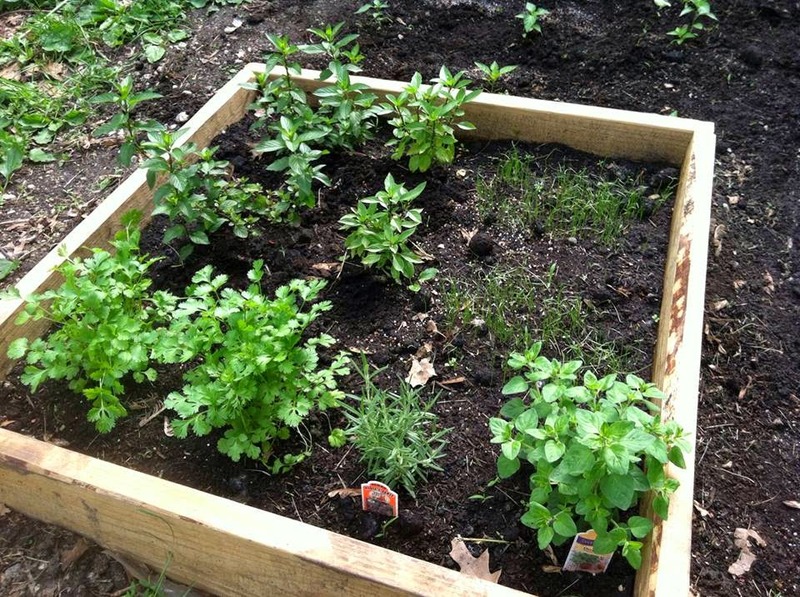 We did make a raised herb garden which is turning out wonderful! 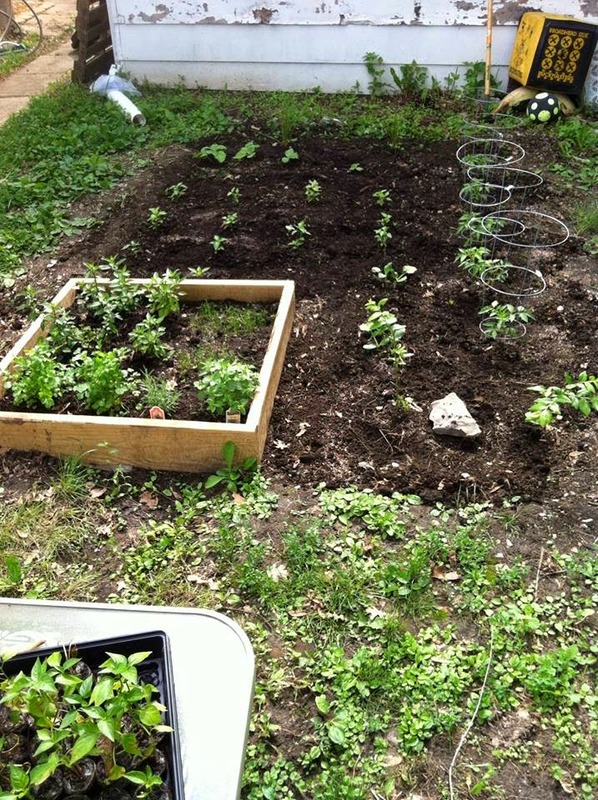 In it we planted cilantro, Thai basil, spearmint, rosemary, oregano, and green onions. Last night I harvested our herbs for the first time and I was able to get a quart-sized Ziploc bag full of each of them, except the rosemary and green onions - which aren't quite ready yet. I love watching them grow everyday. I water them faithfully every morning and in the evening. We weed them just about everyday, although it isn't needing it near as much now, thank goodness! I am looking forward to skipping out with my basket full of veggies that I just picked! 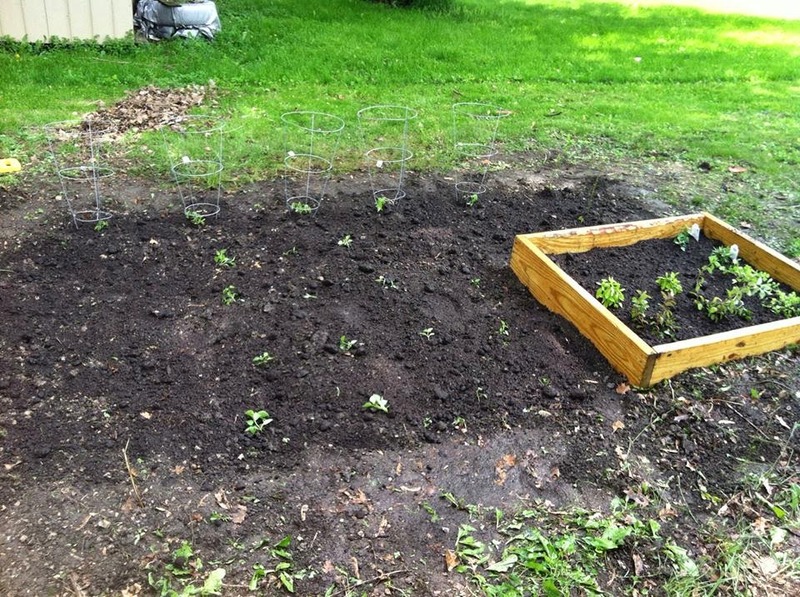 tomatoes, zucchini, bell peppers, Serrano peppers, jalapenos,onions, pumpkins (our daughter's only request) and blueberry bushes...plus the herb garden. We were going to plant lettuce and beans, but decided that since this is our first year to go smaller.